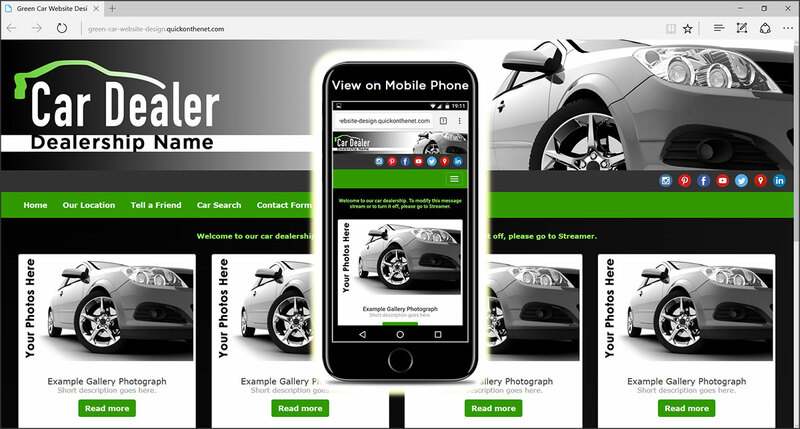 Our green car website templates are ideal if your auto dealership sells electric cars, hybrid cars, or low CO2 emission petrol and diesel cars. Using a fixed width creative scheme, we have produced a green car logo concept and stylish website template presented in deep black and glowing green colours. Let's keep it simple! Designed in a dark moody colour scheme, the overall design is deliberately minimalist and stylish, to ensure your uploaded automobile photography looks striking and vibrant.